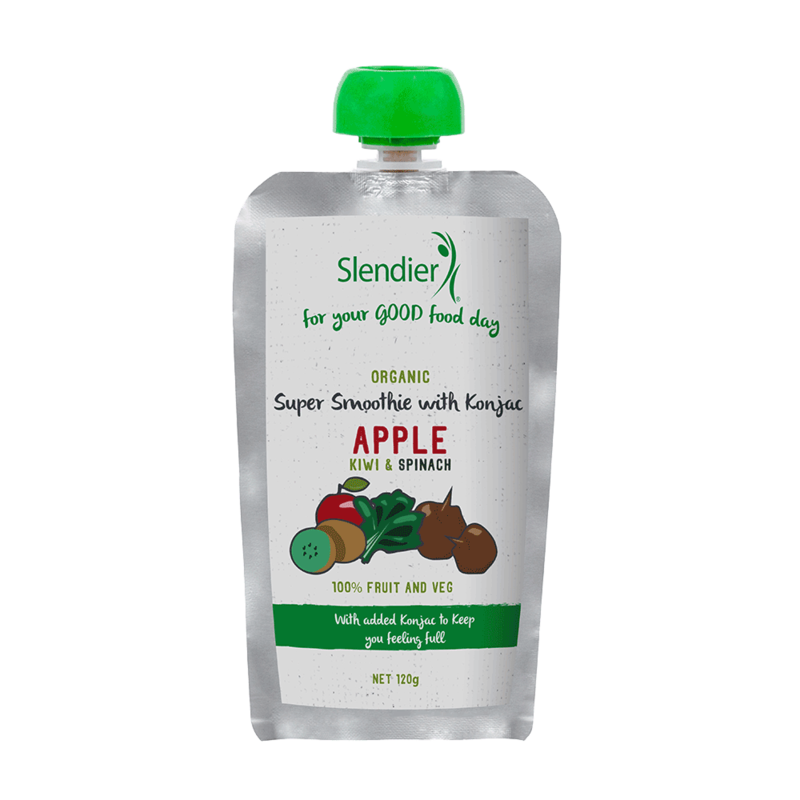 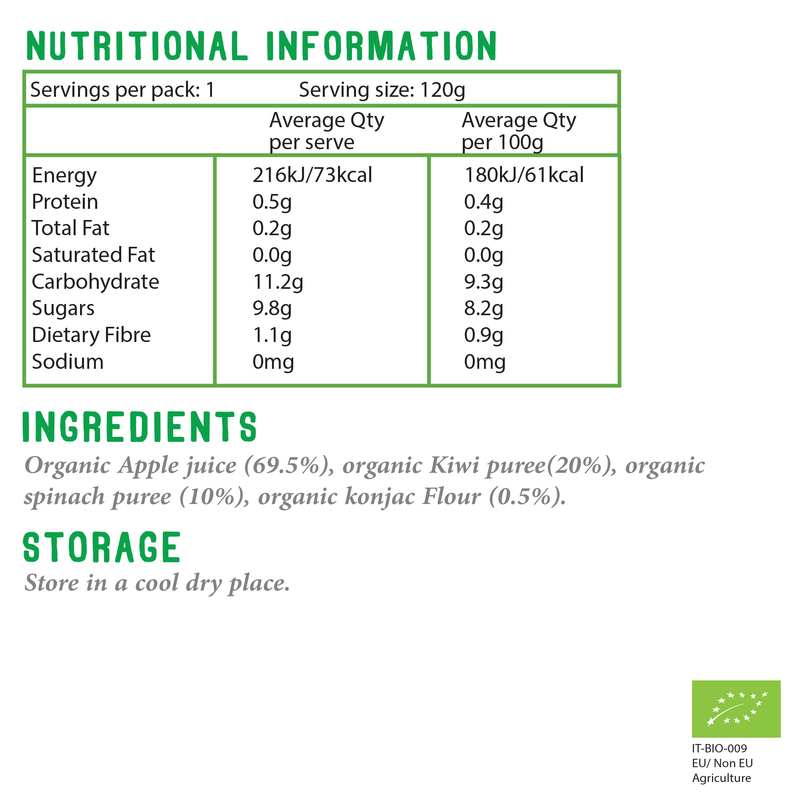 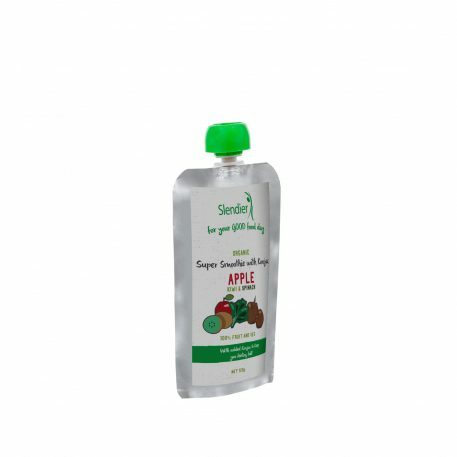 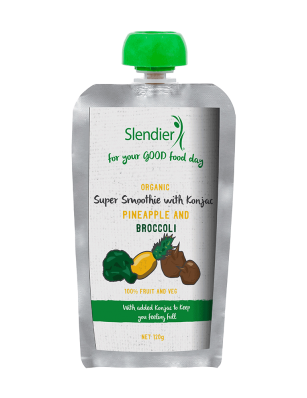 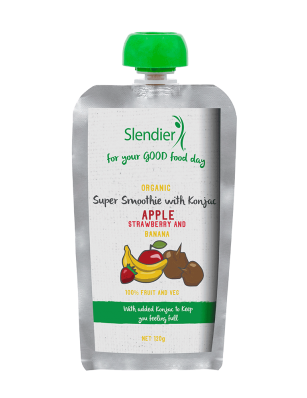 Our new Slendier Super Smoothie with Konjac range is certified organic and contains the goodness of 100 per cent fruits, vegetables and, of course, konjac. 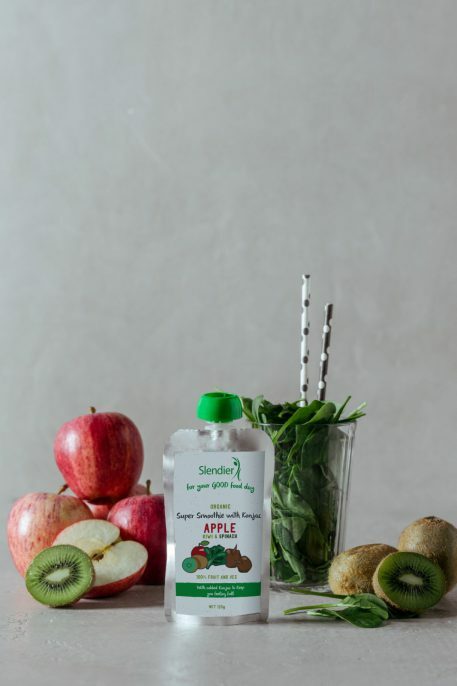 This variety blends the sweetness of apple and kiwi with the green goodness of spinach, so it’s an easy and delicious way to get some of your daily vegetables. 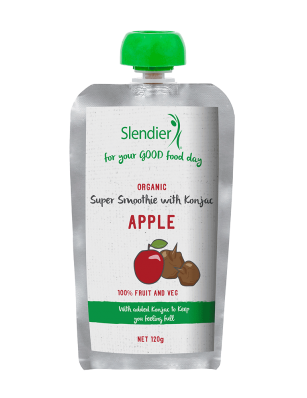 To mix things up, add natural yoghurt and chia seeds or flaxseed to your Super Smoothie for a healthy, low-calorie start to the day that will keep you full until lunchtime. 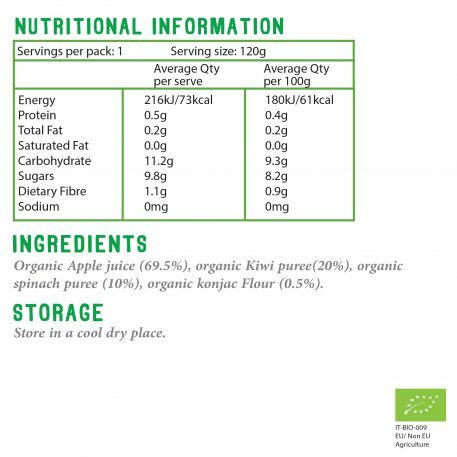 Fibre-filled and low-carb thanks to the addition of konjac, these easy snacks can be eaten on the run!